Daisy's adventures start when her Grandad, who always called her his pretty, precious princess, gives her a book full of precious secrets. But it is not just any book - it is a portal to Bible times. Daisy is so excited about her auntie's wedding that all she can think about is her bridesmaid's dress. When she starts to pester, forgetting that she isn't the centre of attention, she is sent to sit quietly on her own. Her special book takes her off to a wedding in Bible times. When the wine runs out, Daisy sees how concerned Jesus is about the problem - so concerned that He changes water into wine so that the guests can continue to celebrate a special event. Returning to her own time, Daisy realises that she should help to make her auntie's wedding a lovely day for the bride and groom, instead of making a fuss about her dress. Daisy gets excited when she not only meets a celebrity at her local fair, but she has her photo taken with him. When she reads her special book later that evening, she is carried off to a Bible story in which a poor, bent lady is healed just by touching Jesus' cloak. Like Daisy, the lady had left home that morning hoping to meet someone famous. But Daisy realises that meeting Jesus is far more important than any TV celebrity. Ideal for children aged 4 - 9. 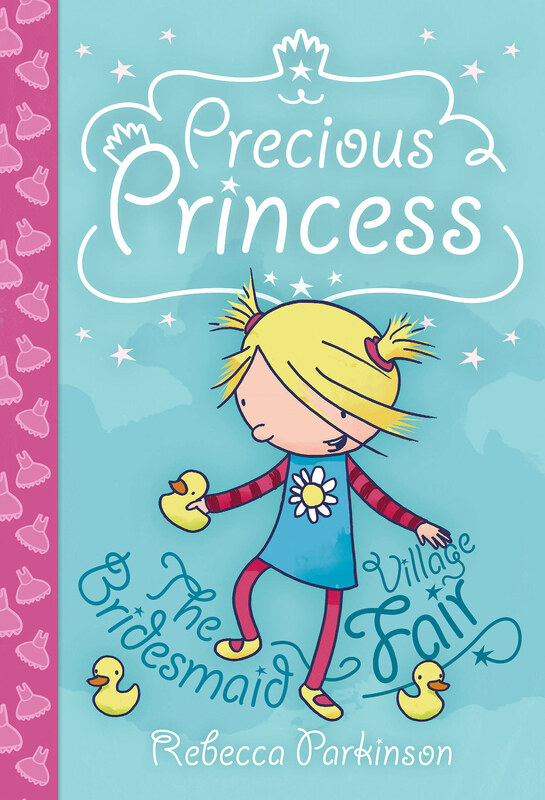 Precious Princess - The Bridesmaid & Village Fair by Rebecca Parkinson was published by CWR in February 2014 and is our 2808th best seller. The ISBN for Precious Princess - The Bridesmaid & Village Fair is 9781782591498. Be the first to review Precious Princess - The Bridesmaid & Village Fair! Got a question? No problem! Just click here to ask us about Precious Princess - The Bridesmaid & Village Fair.